Wreck fishing is one of the most popular types of fishing that Key West has to offer! For wreck fishing Key West is home to food fish like snapper and grouper, as well as big game fish such as dolphin and sailfish. We are also home to numerous mysterious shipwrecks awaiting anglers, and you! Drift fishing — the most popular form of wreck fishing. Anglers drift over a shipwreck to catch fish near or on the wreck itself. Anchored fishing — typically used to target snapper, grouper and other reef dwelling bottom fish. Anglers anchor on a spot and chum the water to attract fish from a wide area. A wide variety of species can be found on the Gulf wrecks off Key West. Victims of World War II mines, German torpedoes or other boats that simply sank to the bottom of the ocean floor can be discovered in the southern Gulf of Mexico. In the past, wreck fishing was as simple as getting near a wreck, lowering your bait and waiting for the fish to come! Now, anglers looking for wrecks have to travel faster and farther, in boats like our 26-foot Panga, Reel Lucky Too. She is equipped with top-of-the-line Penn rods and reels, and she’s perfect for fishing around gulf wrecks, flats and channels. To learn more about the fleet we have ready for you, click here! Book Your Wreck Fishing Key West Adventure Now! When you are looking for fortune in another’s misfortune, call Captain Moe’s Lucky Fleet! 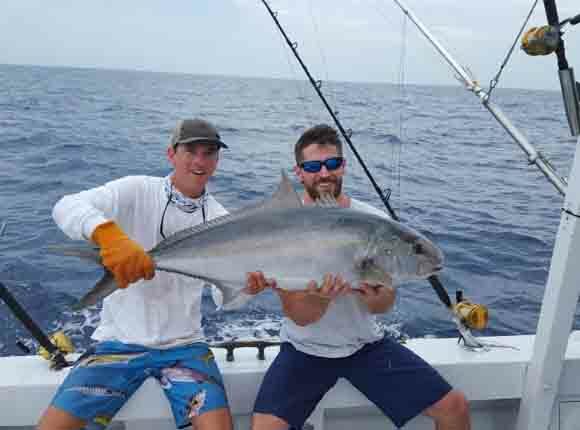 As fun as wreck fishing is, it is also physically demanding and a specialist sport. This sport is not for novice anglers. All of our captains are hand-picked and well trained, and they are ready to battle the gulf wrecks for food fish or big game fish! 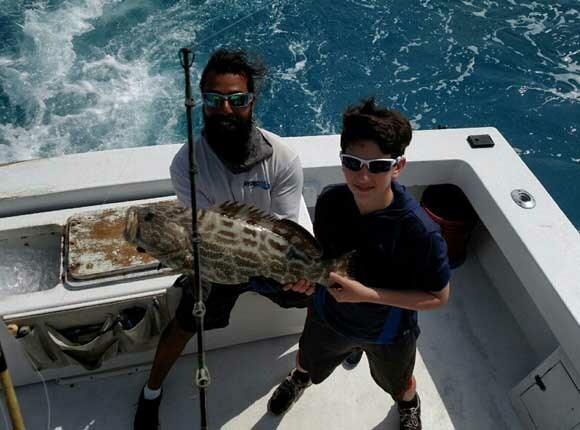 Call us today or contact us online to book your next fishing adventure. For the best wreck fishing Key West can provide, trust our fishing boats and expertise to make this a trip to write home about!